AN ABSOLUTE BEAUTY! FX4 Trim, 4WD, 6.5ft Bed, Leather Seats, Factory Back-Up Camera, Factory Sunroof, Heated and Cooled Seats, Power Seats, Premium Sound System, Bluetooth, Aux Input, Bed-Liner, Bed-Cover, No RUST, Not abused nor destroyed! Non-Smoker, a MUST SEE! Truck is in SHOWROOM condition! NEW! NEW! NEW! 2012 Ford F150 FX4 6.5 ft bed EcoBoost Crew-Cab 4WD....auto, 112K highway miles, Clean carfax, Leather Seats, Power Seats, Heated and Cooled Seats, Factory Back-Up Camera, Factory Sunroof, Bed-Liner, No Rust, Tow Hitch, Running Boards, Books and Extra Keys, Alarm, Premium Alloys...loaded! This FX4 is in SHOWROOM condition! 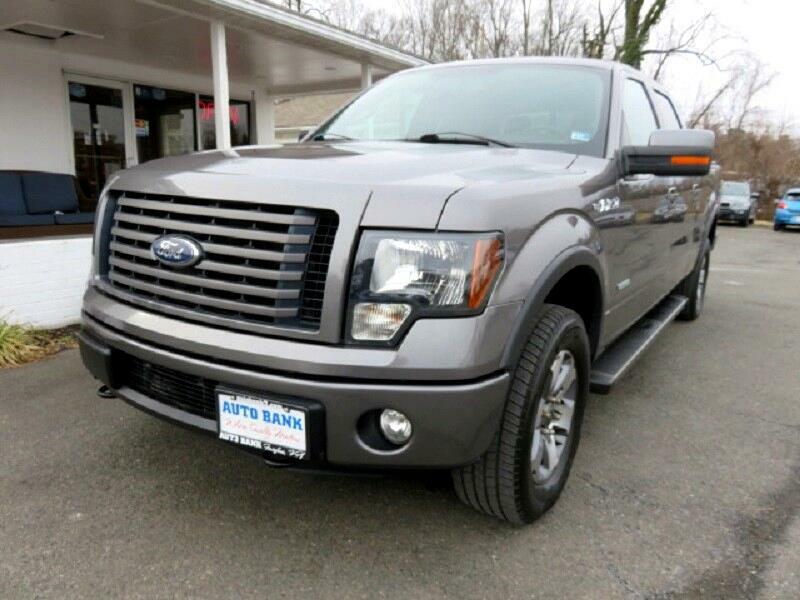 The truck is amazingly well kept and it looks and drives like NEW! It comes with 3months/5000 miles powertrain warranty and we offer extended warranties at very reasonable prices. We offer low interest rate financing. second chnace credit and TAX IDS are welcome. For more info please call 703-351-9400 ask for Shawn, Moe or Alex.